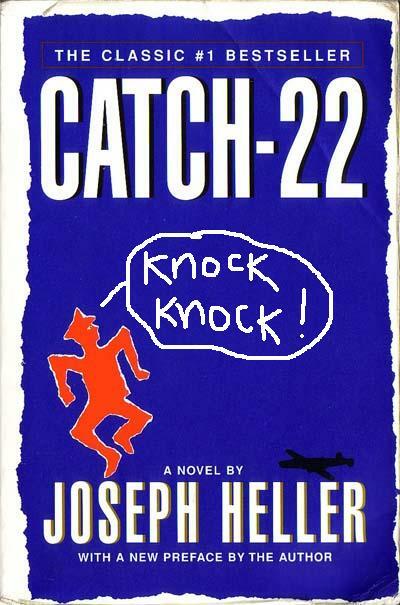 ‘Catch-22’ is a solidly mediocre novel. At its best, it’s a highly emotional portrayal of war and its effect on those involved; at its worst, it drones on, repeating the same joke for pages upon pages in a bland attempt at satire. The one point of interest in the book is when Joseph Heller abruptly switches his tone and starts the real storytelling. The first half of ‘Catch-22’ is one big, monotonous cartoon. Heller might as well have written, “Knock knock. Who’s there? Banana. Banana who? Knock knock,” until around the twenty-third chapter, when he finally says, “Orange you glad I didn’t say banana?” He’s trying to poke fun at army life, but almost every joke involves repetition that feels juvenile. There’s not much of a plot to speak of; the author takes snapshots of each character and fills in his backstory, then jumps to someone else. There’s a loose semblance of chronology, but it only comes into play later in the book. After introducing his readers to each character intimately, especially when it comes to his fears and the things he does to hide them, it’s understandably more disheartening when they start to die. After beating his readers over the head with his sense of humor, Heller changes his tune. About halfway through the book, he stops trying so hard to make jokes and his writing becomes disaffected, more realistic, and much more enjoyable to read. What plot there is focuses around Yossarian, who’s just trying to get out of the war alive. Meanwhile, the bigwigs are tormenting everyone by holding freedom just out of reach, innocent people are being driven from their homes, and Yossarian’s buddies are dying in front of him or going crazy. It’s these moments, the dark and rather horrifying ones, that form the pith of the novel. It’s hard to understand by Heller wasted time goofing off; he’s not a bad writer, but he had a two-hundred-page bad idea. The second half of the book is moving and disturbing, which is why I can’t figure out why the book has been called one of the funniest in the English language. It’s true that there are some surprisingly funny moments hidden in the narrative, but ‘Catch-22’ falls flat as a comedy. The best parts of the book are the ones that are the least funny.